If your first semester goals didn’t quite turn out how you planned, fear no more. With 2017 upon us, let’s all promise ourselves that this year will be our year. Many of us declare new year’s resolutions that improve our well-being, but those vows sometimes require a little extra inspiration to go beyond the classic “go to the gym more.” An inspiring Instagram account we’re loving at A Mag is @bossbabe.inc. This rising brand offers inspirational words and blog posts that motivate young millennial women to take full responsibility and create a life worth dreaming about. With women’s marches around the world recently making history, it’s important to realize our true potential now more than ever. This is the year when we will no longer daydream, but make our craziest dreams our reality. Let’s start to keep our promises to ourselves, escape mediocrity, take control and live the life we deserve. 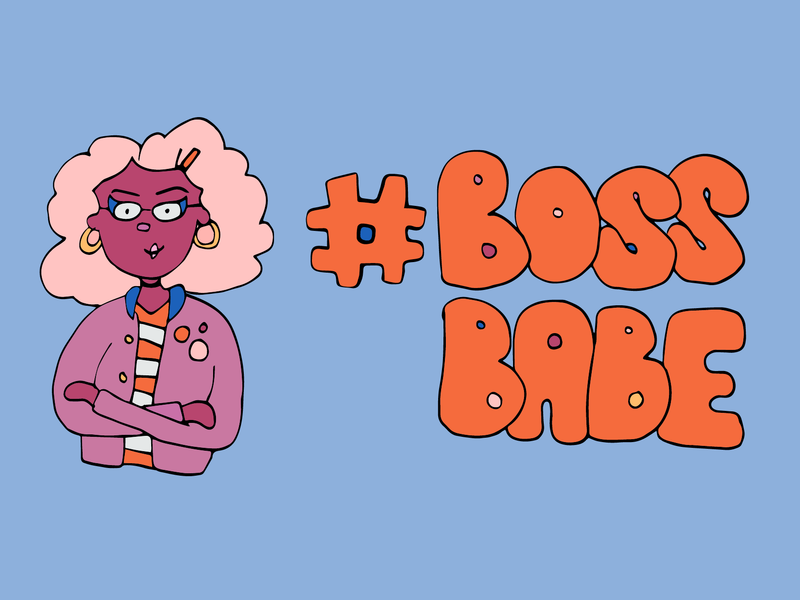 Cheers to a semester of total #bossbabe status. Self-doubt is the silent dream killer. We constantly fantasize of all the things we wish we were doing instead of actually doing them. It’s time to start somewhere, anywhere, even if it’s just a simple idea. Whatever you dream of is completely valid and takes the right amount of confidence to get started. Whether you’ve been yearning to get better grades, get fit, make better friends or finally start that YouTube channel, believe that everything you dream is completely attainable. Speak and visualize all of your goals into realization. Believe that you’re a total boss who gets everything they deserve. Take 10 minutes out of your day to sit in a quiet setting and visualize your future. It can be difficult to find a silent moment amidst a busy schedule, but simple meditational practices can gradually improve our mindset. A positive and confident mind is what gives us the courage to pursue our dreams, despite self-doubt. Use this semester as a chance to finally claim what’s yours. Being a boss requires action. Discussing and conceptualizing goals is a great practice, but it means nothing without diligence and hard work. Sure, things get tough and discouraging, but these are just moderate side effects of life. Refrain from making excuses as to why you’re not winning, and simply win. Now’s the perfect time to stop daydreaming about your New York City aspirations and develop a plan to make it happen. Sharpen your talents and work up the courage to finally submit that internship application. Trust me, with hard work, you can do anything. Empower yourself each morning by having fun with your closet. Step outside the box and unleash your inner Rihanna. Start to understand your personal style and own it; once you do, you’ll feel unstoppable. Think of how the perfect woman in your head dresses, and be that woman. Of course, sweats are comfy, but let’s be honest, killer outfits make us feel invincible. Dress in a way that makes you shine with ambition from the inside out. By presenting the best version of yourself, others will be attracted to your radiating confidence. It’s important to look to other success stories for inspiration, but it’s crucial not to obsess over them to the point where it hinders yours. Look to others as role models, but focus on your own innovative ideas. We all have our own personal journeys, and it’s important to stay true to ourselves and goals.